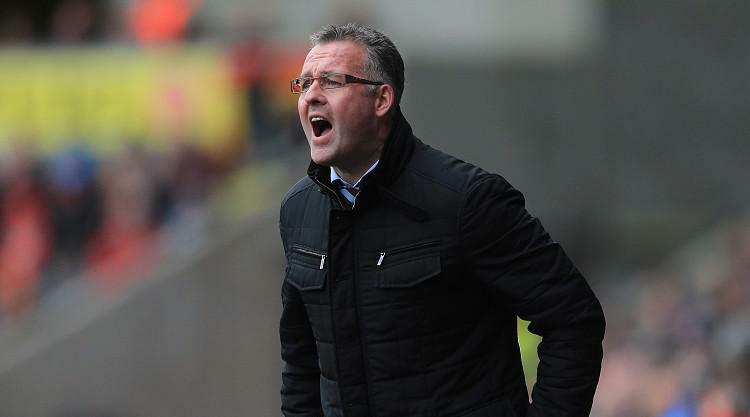 Aston Villa boss Paul Lambert has vowed to make sure off-field issues have no impact on him or the team as he prepares for the 2014-15 Barclays Premier League season. Lambert, who took over at Villa Park two years ago, will be trying to avoid a repeat of this year's disappointing 15th-place finish while chairman Randy Lerner searches for a buyer after putting the club up for sale last week. The two men have since met in New York to devise a short-to-medium term strategy and Lambert has come out of those discussions ready to get straight back to work. "As everybody is aware, I met with the chairman along with Paul (chief executive Paul Faulkner) and I'm determined to get on with the job of managing Aston Villa," the manager told the club's official website. "These circumstances are extremely challenging as the club is for sale and as far as I know there is nothing imminent in terms of new ownership, but we're going to roll up our sleeves, prepare for the battle ahead and do our best by the club. "The squad requires strengthening, that's self-evident, and it won't be easy within the current circumstances. But we'll look to identify players of proven quality to bring in and get ready for the start of the new season." Lambert added: "I'm determined to give it everything I have, the players will do the same and it is our collective strength as a club which, ultimately, will see us through."